Make-A-Wish (MAW) Foundation Pakistan has managed to fulfill the desires of eight terminally ill children in connection with Eid-ul-Fitr. Wishes were granted in a ceremony held here at the MAW office, Sunday evening. Six-year-old Sumera Hassan, suffering from heart complications, wished for a dinner comprising dishes, she likes most. Similarly Zohaib 10, a kidney patient and baby Vilayat 10, a thalassaemia major patient wished for a special dinner. Saeeda, 12, a heart patient, and another thalassaemia patient Fiza, 08, wished to have a meeting with renowned actress and television host Sanam Baloch, while seven-year-old Nida, who is also a thalassaemia patient, wished to meet renowned host of religious programmes and Naat Khuwan Aamir Liaquat. To fulfill the children’s wishes both personalities were specially invited in a ceremony, where children spent some time with them. Speaking on the occasion, Nida said that she tried her best to contact Aamir Liaquat but in vain. She thanked the MAW Foundation for fulfilling her desire. Nida further said that she wanted to request Aamir Liaquat to pray for her. Muhammad Akram 17, thalassaemia patient and Sumera 12, suffering from blood cancer were provided with their wishes to have new dresses and accessories. On the occasion, distinguished guests distributed ‘Eidi’ among the affected children. MAW’s founding president in Pakistan Ishtiaq Baig hailed the role of volunteers, who were serving the terminally ill children and working to provide them with some moments of joys. He stressed the need of fulfilling the wishes of terminally ill children terming it the moral duty of society. KARACHI: The second Pakistan Media Awards were bestowed late Saturday night amid a graceful ceremony held at a local hotel. The ceremony was dedicated to the departed legendry actor Moeen Akhter. Several prominent figures of silver and large screens, including Mustafa Qureshi, Urooj Asif, Ahsen, Aijaz and Faisal Qureshi, hosted the several segments of ceremony. To start the ceremony, a minute of silence was observed and Fateha was recited for the departed soul of Moeen Akhtar. Renowned actor Mustafa Qureshi said, “Through this event we want to deliver a message to the western world that Pakistani nation is not afraid of anyone”, adding that we boost our culture and talent, while remaining in the sphere of our traditional values. A large number of celebrities, politicians and art lovers including Sindh Assembly Speaker Nisar Khuhro, renowned textile tycoon Mirza Ikhtiar Baig, famous film stars Nadeem Baig, Zeba Muhammad Ali, Moammar Rana and prominent film directors Syed Noor, Sangeeta Bajlani and others attended the event. During the awards distribution ceremony, awards for the year 2010 were distributed in several categories. Best Radio Jockey Award for the male went to Dr Ajaz Waris from FM 92 and for female to Noveen Waqar from FM 91. Best Newscaster Award for male was granted to Salman Hasan from Samaa TV and for female to Kiran from Aaj TV. Best male and female Anchorperson Award went to Kashif Abbasi and Aasma Chaudhry respectively whereas Best Fashion Journalist Award went to Faisal Qureshi. Aamer Adnan bagged the award for Best Fashion Designer. Best Model Award for female went to Nadia Hassan and for male to Hareeb. Saba Ansari bagged the awards in hairstyle and makeup category. Syed Noor was awarded with Best Film Director Award. Best Theatre Awards went to the National Academy of Performing Arts (NAPA) Group. Channa Sachi Muchi was declared the Best Film of the Year 2010. Best actor and actress awards went to Shan and Saima respectively. ‘Muskurati Morning’ was declared the best morning show. Faisal Qureshi and his better half Aysha were awarded the best host award. Best Soap Award went to the series ‘Samdhan’ whereas Best Female Singer Award went to Fareeha Pervez. Best Drama Award went to Hum TV’s ‘Dastan’, while Haissam Hussain was awarded Best Drama Director. Best Supporting Actor Award for male and female went to Ahsan Khan and Sanam Baloch respectively. Fawad Khan was declared best TV actor of the year 2010. A special award was granted to the legendry musician and vocal person Mehdi Hassan. Lifetime achievement award went to senior star Lehri. Besides, a special award was bestowed on the desire of Nadeem Baig entitled ‘Moeen Akhter Award,’ under the category of Best Entertainer of the year, which went to Omer Sharif. 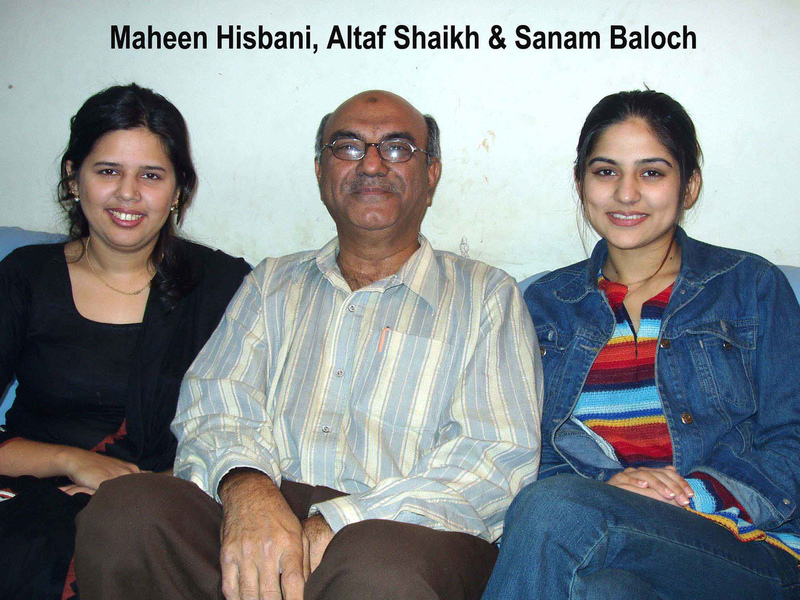 Sanam Baloch and several other award winners dedicated their awards to their mothers, marking the World Mother’s Day. Little Master Rohan Abbas mesmerised the audience with his songs. Sangeta Bajlani, Syed Noor, and Mehdi Hassan wished him luck and appreciated his performance. He said in tears that singing in front of Mehdi Hassan was his largest wish of life. 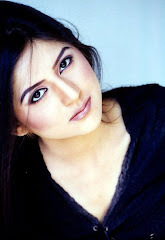 Renowned Choreographer Pappu Samraat arranged a special dance, which was dedicated to his favourite actor Sanam Baloch. Spectators enjoyed the privilege of watching renowned actor Muammar Rana’s live performance. His wife and daughter were also present on this occasion. Rana while receiving the Best Actor Award on Shan’s behalf, said that now he has received an award Shan’s behalf, people would not say that there lies a conflict between the two starts adding “Shan is my senior and he has taught a lot to me”. Speaking on the occasion, Speaker Sindh Assembly Khuhro said that there was no deficiency of talent in Pakistan. He praised the organisers and congratulated them. He was of the view that supporting such types of events was the need of the hour. Syed Noor said that he was very glad to be there as he attended such an event after a long time. He said that he had launched a film academy and said that he was confident that the academy would play significant role in developing the Pakistani film industry. Nadeem Baig while urging the local media to support Pakistani film industry said that such events should be held to support the declining film industry of Pakistan. He further said that money is not the real reward for an artist, but appreciation is. Omer Sharif also entertained the spectators on this occasion and bagged applause from the audience. He requested Syed Noor to direct a film and cast all senior stars including Nadeem Baig, Zeba Ali and others as the local film industry was on a steep decline after the retirement of these artists. He offered that he would write the script of the proposed film without charging a single penny. In an immediate response, Noor came on the stage and informed the audience that he already had signed an agreement for a film with Zeba Muhammad Ali on the same day and promised to fulfill Sharif’s request. Later while talking to Daily Times Sangeeta and Zeba said that they both came from Lahore to participate in the ceremony. The congratulated the organisers Mr. and Mrs Arshed Siddiqui of Triple E and hoped that with the support of such awards and events Pakistani film industry will bloom again. Organiser Arshad Siddiqui said that the purpose behind the event was to re-live the Pakistani film industry. He said though he and other private sector were trying to play their level best the cold behavior of government was quite illogical.